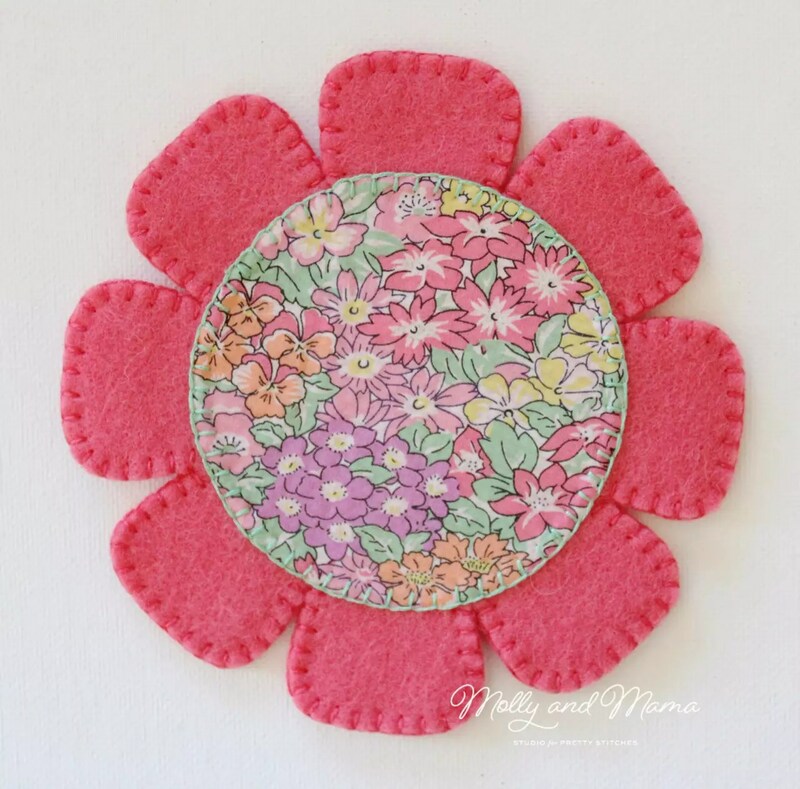 These felt flower coasters are so easy to stitch. They’re a great way to showcase your favourite fabric prints and treasured scraps. And they make a lovely gift. 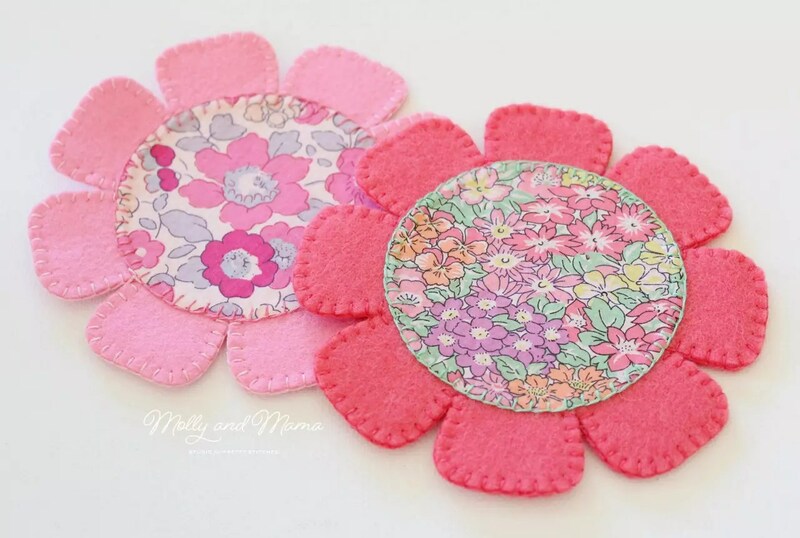 They’re also an ideal quick sewing project to add to a parcel for a crafty friend. Two x 5 1/2″ (14cm) squares of wool felt. See this blog post for tips on working with Wool Felt. Download, save and then print out the template with no page scaling or cropping. (However, to make coasters that are larger or smaller, reduce or enlarge the template when printing). Trace the centre circle onto the paper side of the fusible heat bonding web. Roughly cut around the outside. Position it on the wrong side of the floral fabric and secure with a warm iron. 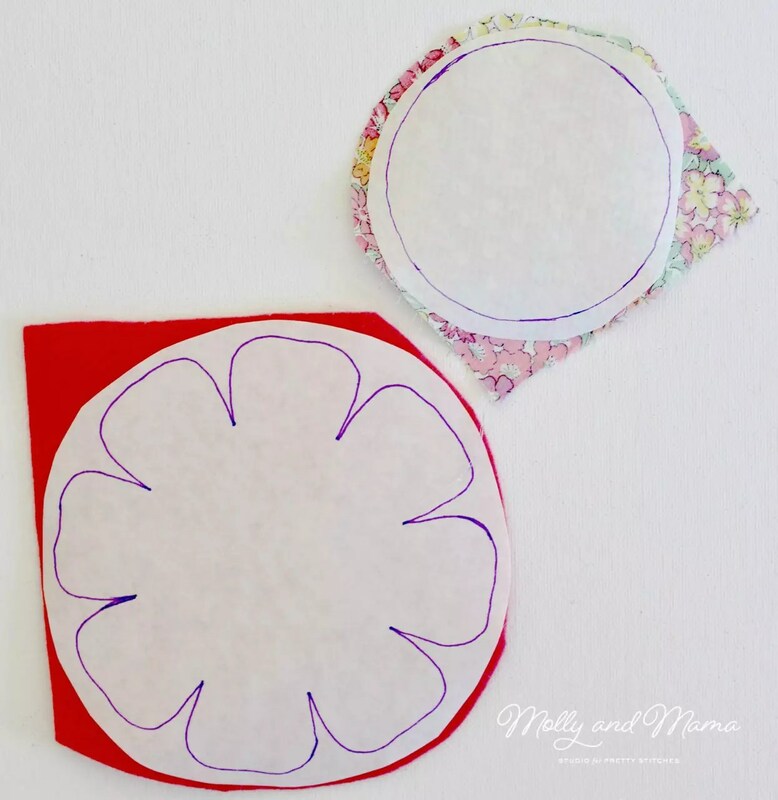 Trace the flower template onto the paper side of the freezer paper. Roughly cut around the outside. Position the template on the felt and secure with a warm iron. Note: use a press cloth or fabric scrap to cover the felt and paper to avoid damaging the felt, especially if the felt is not 100% wool. 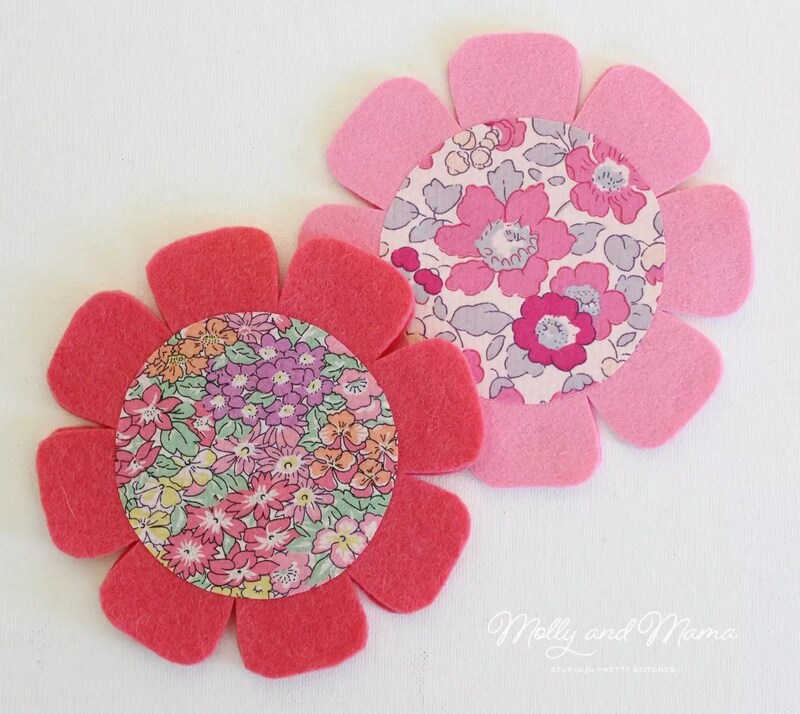 Cut out the centre circle on the template line and peel off the backing paper. 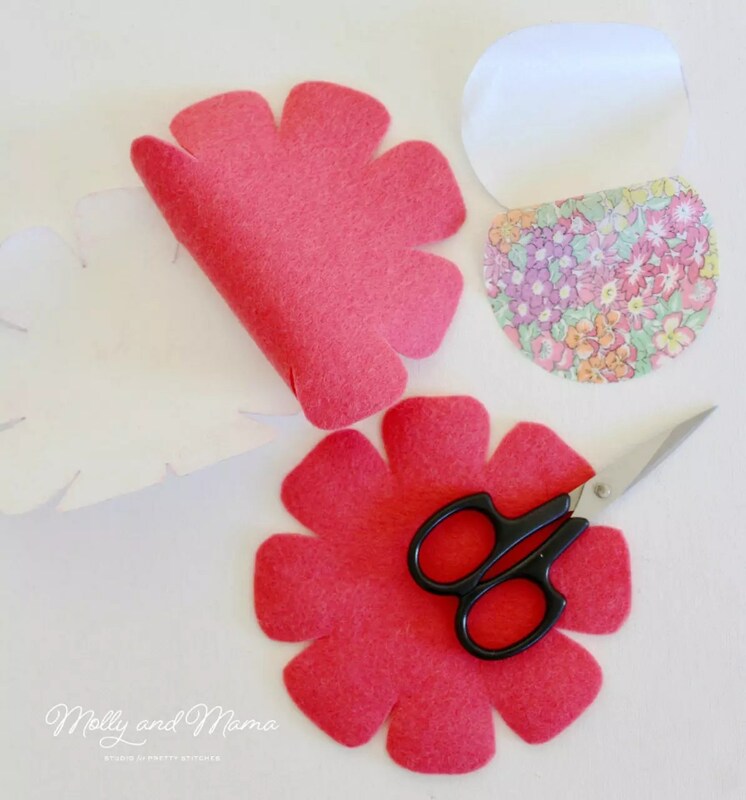 Cut out the felt flower on the template line and peel off the freezer paper. 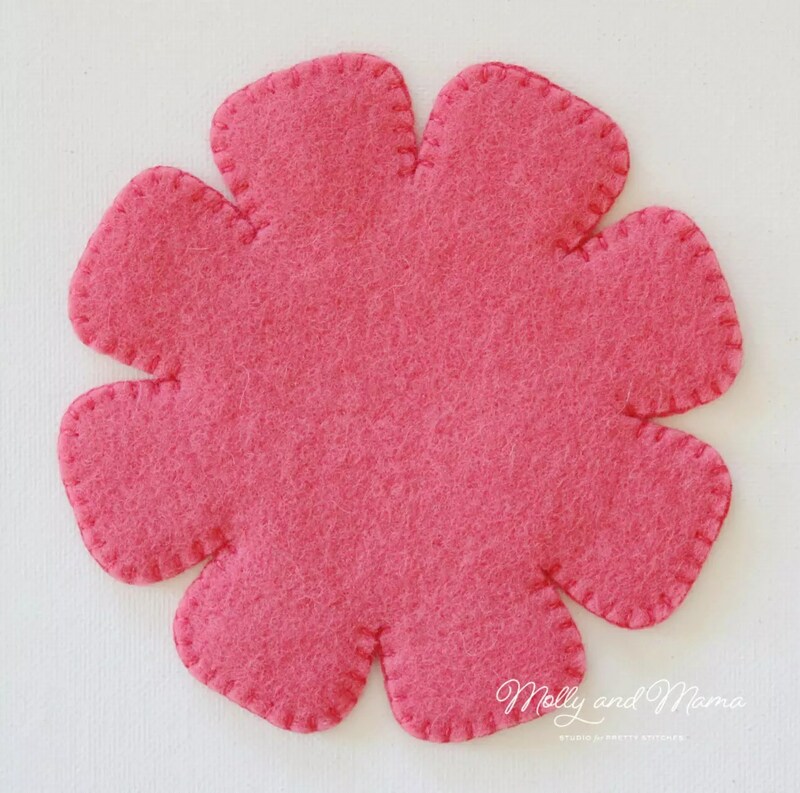 Use the same method and re-use the freezer paper to create a second felt flower. Iron the fabric circle to the centre of one of the felt flowers. Thread your embroidery needle with three strands of embroidery floss and blanket stitch around the outside edge of the fabric circle. Secure your stitching well on the back of the flower. This is how it will look from the back. 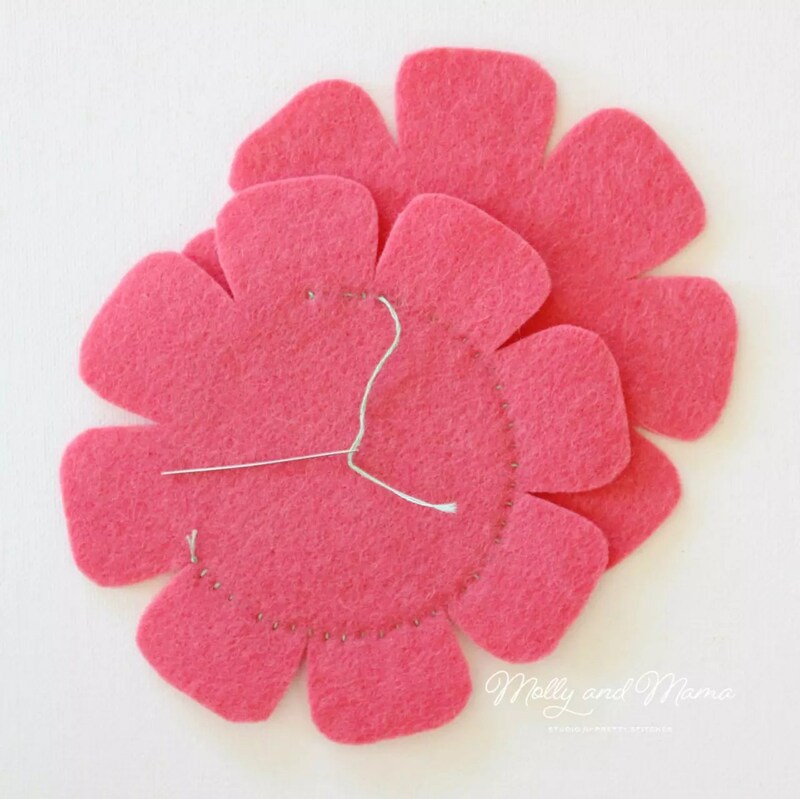 Pin the second felt flower behind the first, then blanket stitch the raw edges together, sewing around each petal until you return to the starting point. Hide the end of your floss on the inside of the two felt layers. Here’s the front view. And here’s the view from the back. Your coasters are finished and ready for use! Simple, right? 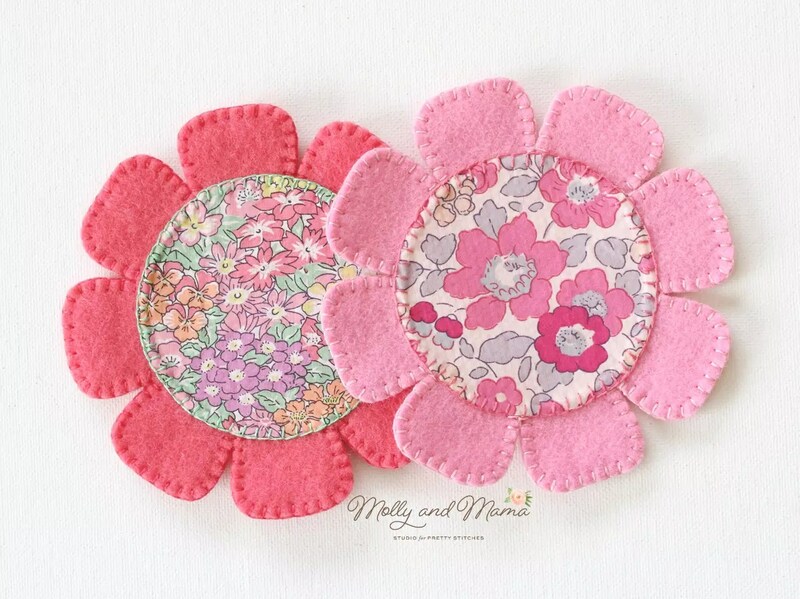 If you’d like to try your hand at other felt projects, I have some cute patterns in the Molly and Mama store. 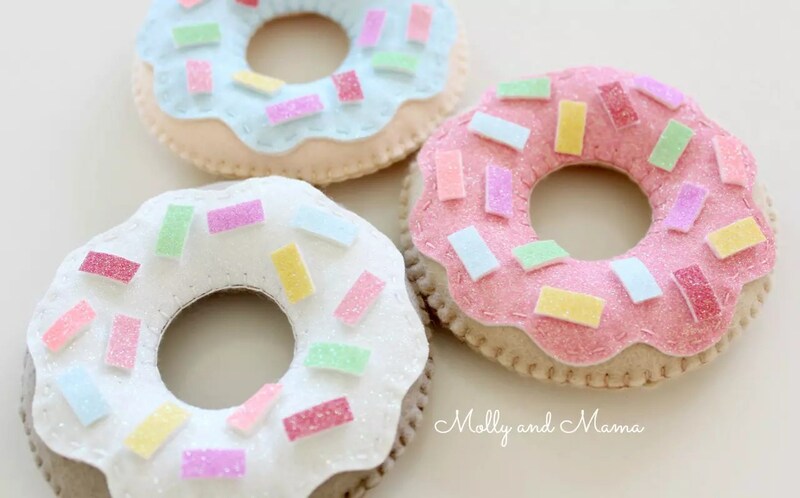 And there’s also some easy tutorials on the blog too, like these yummy felt donuts! Sew cute, thank you for sharing ! This is a quick and fun project (great for hostess gifts). Thanks Lauren.